Hello to all bloggers, blog readers and want-to-be bloggers. Although this post 10 Ways To Improve Your Food Blog is aimed mainly at food bloggers, there are tips and tricks that may help you. So please have a read and see what you think. 10 Ways To Improve Your Food Blog : Cherries from our garden really make these Cookies pop. Before I started feastingisfun.com I knew absolutely nothing about blogging. I did know, however, that my passion for cooking, sharing the food I made and sharing the recipes I created was starting to get outta control!! I was badgering meat/fish/veg suppliers to create a place on their website where I could post recipes. “Yes” they said – all through Facebook. “Ah” said I. I’m not ‘on’ Facebook and had no intention of joining. So I started researching ‘those blog things’!! I was scared stiff, setting up and running a blog seemed overwhelmingly complicated. So I left it until one day I could deny myself no more. I took the plunge, after a little more research and set up my site. Which brings me to my first point. 1: I chose to set up my own site, through WordPress, but I own the domain name. feastingisfun.com is my own. I own the name and the content. Having done some research, especially for food bloggers, I decided that as I was creating the content for my site, I wanted to own my content, which includes recipes and photos. This incurred a small cost, but I was happy with my choice. This service is free and WordPress are a great platform from which to start a cost free blog. However, you do not own your domain name. The choice is yours, I wanted feastingisfun.com to be mine. Money, earnings, sponsorship never even entered my head when starting up, I just knew if I was going to do it, better to set up from the beginning, than have to transfer at some point in the future. This is one opinion. I made it the first point as I think knowing what you are getting into is important. Research this area, so that you make an informed choice. 2 : Make sure the recipe you write works!! I know it sounds funny, but in the beginning 2 out of 3 of my recipes went in the bin. Yes the food was probably eaten, my family are a fairly forgiving lot. But – if you are going to share a recipe on the internet, make sure it works consistently. Otherwise you may get negative feedback, from readers, who are hard enough to get anyway!! So only post practised, reliable, consistent recipes. 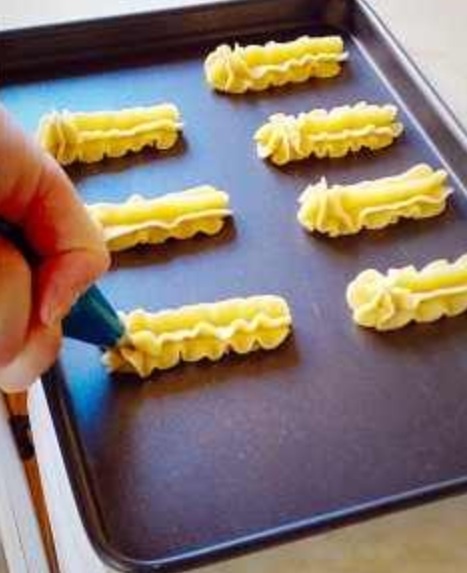 3 : Learn to write everything down as you are cooking. Ingredients, quantities, timings, size of bakeware – everything! If you decide to add an extra pinch of this or that, measure that pinch. I write this as THE worlds worst recipe follower, I never used to time anything, I could just tell by the smell if a cake or loaf was cooked – not a lot use to someone following my recipe. I have trained myself to use a timer and make notes. Guess what? My organisation has improved, as has the consistency of my baking! 4 : Photography. Honestly whether you’re a complete novice, the next David Bailey or somewhere in between, good photos will enhance your site and blog. 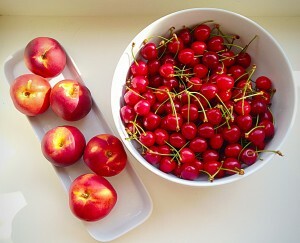 I take all my food photos using my iPhone!! Whether you’ve got a super duper Canon, a cheap point and shoot camera or a phone, there are lots of Apps available that will help edit your photos. Daylight will always give the best, natural results, but editing your photos is a handy tool to have – especially in the darker months. Just don’t over edit. The resulting photo should be a true reflection of your creation, over editing is obvious and readers will spot it!! 5 : Using shop bought pots of fresh herbs as props! Here I’ve used shop bought, fresh, potted Basil. 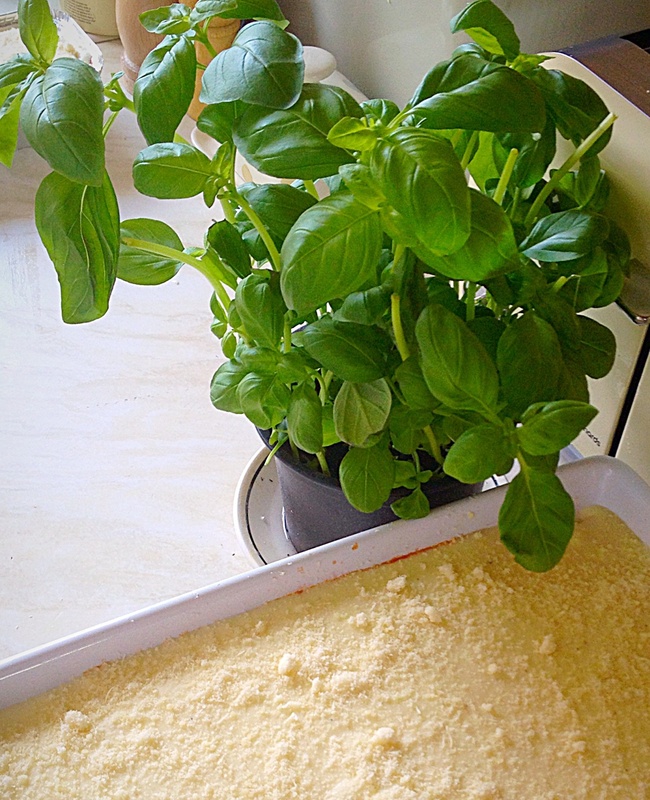 Not only is it in the lasagne, it enhances the photo! Buy fresh, potted herbs cheaply from the supermarket is a great trick. You have a lush green photo prop that can also be used in the dish! 6 : Be creative, use what you already have in the house, especially the kitchen, even the garden, to brighten or add interest to a photo. 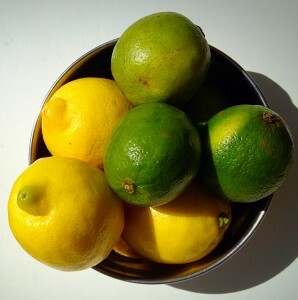 A simple bowl of lemon and limes – screams sunshine. I used the above bowl of lemons and limes to sit alongside a photo of my Zesty Lemon Lime Cake. It adds interest, lifts the photo and let’s the viewer know what’s in the cake. You then use the fruit in your cooking! 7 : Display your food well. 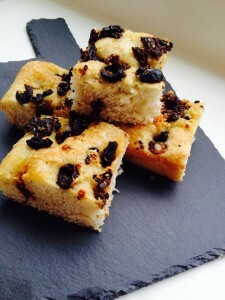 This Slate board was inexpensive and shows this Sundried Tomato Olive Focaccia beautifully. 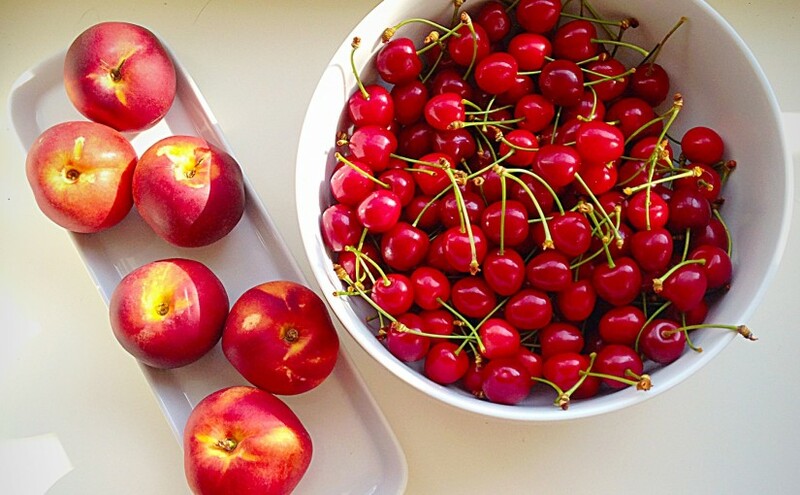 White is a fantastic background to display food on. The photograph draws your eye to the food not the dish! 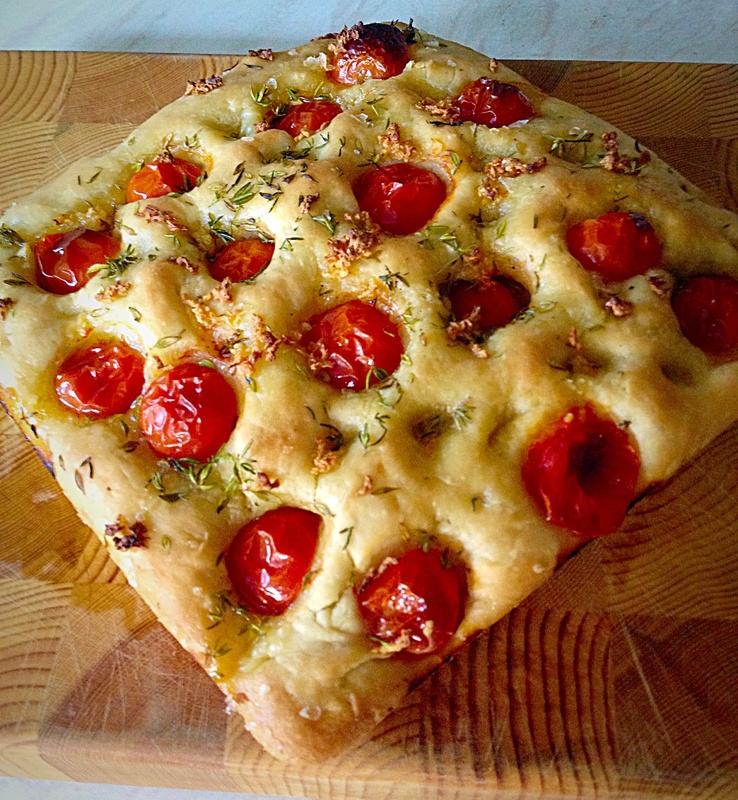 A wooden chopping board creates a fantastic background for this Tomato Thyme Focaccia Bread. I picked up the white salad bowl and small rectangular platter as well as the slate board from Wilko using their online delivery service Wilko.com which is free on orders over £50. So I added a few other baking items, their prices are incredible and I was amazed at the range of baking/cookware/kitchen items that they stock. Then I placed my order. I was very happy with everything I had bought! So shop clever for dishes that can be used for photos and home use. The white salad bowl is used most days and has also featured on my post Tangy Lemon Potato Salad. 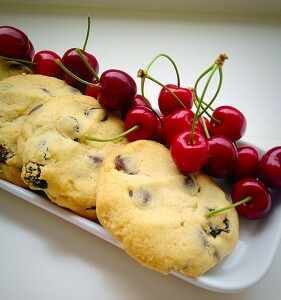 8 : Use photographs to show detail in a recipe. A one picture food blog is not as appealing as showing stages of the cooking/baking process. 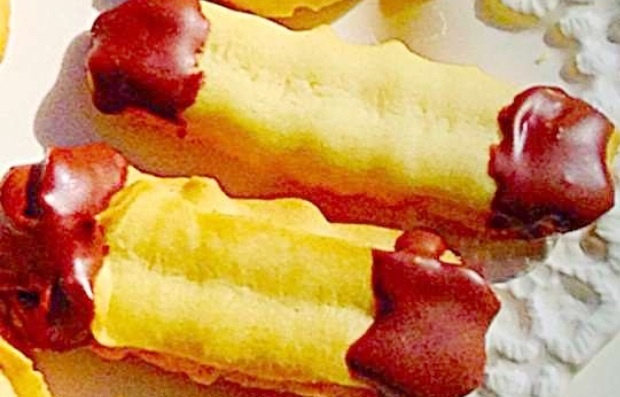 These Chocolate Dipped Viennese Fingers look delicious. 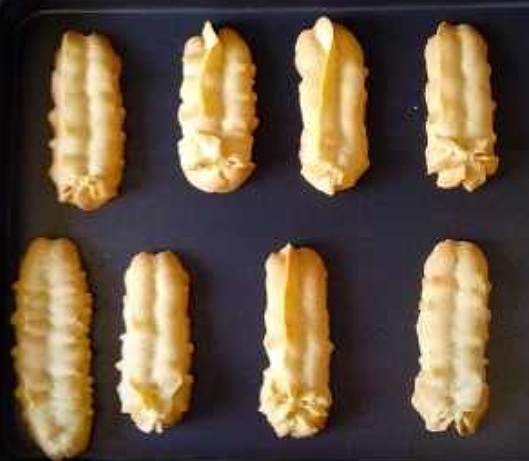 If I were attempting to make them for the first time then…..
A photo showing how the fingers are piped, really helps, except these look quite frilly, so……. 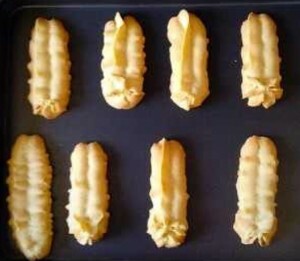 A quick shot of the cooked Viennese Fingers, reassures the reader of how they look once baked. Again, here in these photos I’ve used a good quality, non stick baking tray, purely to enhance the contrast and therefore achieve a better photo. 9 : Have an honest support network! This may sound odd, but honest criticism is your greatest tool! Having a group of people – friends/family who will give an honest, independent opinion, will help to ensure you post only the very best recipes on your site. Quality over quantity for building a reputation as a Food Blogger is key. Remember though, they are only opinions. Take them on board and then you decide if the recipe needs tweaking, or not. I’ve improved, so now just over half of all the recipes I create, make and photograph make it onto my site. I am still my biggest critic and that’s how it should be. You are the person with the final decision over what gets posted on your site! 10 : Allow your personality to shine through when writing your blog. Yes, ensure the recipe and method are accurate. Include references to any recipe you have used; for example – This recipe is from www.feastingisfun.com/recipe – name/ or, if you’ve altered any part of the recipe, it’s fine to say – This recipe was inspired by www.feastingisfun.com/recipe-name/. It’s not cool to copy and paste recipes/photos from other sites, without the writers permission. It also kind of defeats the object, this is YOUR blog. Writing about how you baked a cake is YOUR experience. Some people are naturally gifted writers, others are not. I fall into somewhere in the middle – but, as this is my 100th post, I look back and see how my writing (and photography) have improved. That fills me with a sense of achievement!! Finally, just a teeny, tiny piece of advice. Be patient and don’t compare your blog to others. Sure, it’s fine to take inspiration from other blogs – I read a LOT of beauty/lifestyle blogs, I enjoy them and pick up ideas from them. Patience can be the tough one. It takes time and dedication to build up your readership numbers. For me, I still get a thrill when someone leaves a comment after reading a post. Interaction is great and you can maximise it using social media. More on that one in another post! I really do hope 10 Ways To Improve Your Food Blog is helpful? This list is by no means exhaustive and I’d love to hear any tips that you may have? Note : All dishes/props etc. were purchased by the writer and the opinions expressed are my own. Congrats on ur 100th post and great tips – thanks for sharing!! Thanks for visiting my site and making a nice comment about my photographs. Like you, I’ve been teaching myself and slowly improving, but it means such a lot when someone actually mentions it . You’ve listed some good tips here. I wish I’d known about food blogs when I first started. 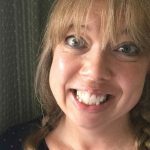 I had no idea there were any out there, I just decided to start recording what I made, so I chose the wrong platform and have only recently moved over to self-hosted wordpress and after six years, it’s taken some getting used to. It was also a real pain and I lost most of the followers I’d built up over years. So well done for getting that right. Thank you Choclette. I’m so sorry that you’ve lost a lot of followers. When my site crashed I lost all the comments people had left. I cried. We learn as we go, sometimes though it can be horridly painful. I wish you every success on your self hosted site. With your content I’m sure your following will build quickly. Congrats on such an amazing milestone Sammie – your 100th post! If this were tv land, we’d present you with a big celebratory cake 🙂 I love and agree with all your tips. Some days are a 10/10 and other days, we need these reminders! I should plaster #3 around my kitchen – I think we’re all guilty of it! Thanks for being part of my #9 – to many, many more posts on http://www.feastingisfun.com! Aw shucks that’s so sweet of you and very much appreciated. I hadn’t planned for that post to be my 100th – but if it helps just one person I will be pleased.